We develop and maintain ReQtest use the agile method Scrum, which we supplement with some elements of Lean methodology. In our toolbox we use a number of scrum techniques to help us do this and here we will give you some tips about how we work to be able to get a better product out in less time. Read the points below to learn about four of the scrum techniques we use to help us work efficiently. Here at ReQtest we do most of our requirements discussions in the form of workshops, normally using post-it notes on the wall. This is a simple method, but also proven to be very effective. We use workshops to identify testable requirements, to group and prioritize requirements and to draw the system flows and mockups. The development team also uses workshops to break down requirements into development tasks. Workshop techniques take full advantage of the teams’ complementary skills and any ideas brought forward are immediately illuminated from several different perspectives. The requirements we get using this method are quite simply better and of higher quality than those gleaned from other forms of meetings where, for example, a person just writes down what the others say. Participants at a workshop are generally more active than at other meetings. Furthermore, thanks to the post-it notes on the whiteboard it becomes easier to reach a consensus on the requirements. In addition to workshops, there are several other requirements gathering techniques which you should use continuously. We make regular interviews with our clients. Another gathering technique we use at ReQtest is to send a survey to our users annually. We also use prototypes as a basis for discussion and we implement usability tests based on them. Our testers plan and implement much of the manual testing. As mentioned already, testers participate in requirements writing and in reviewing the requirements. Many of our reviews are made in the form of communication on a daily basis. Testers are involved to ensure that the requirements are testable and accurate. Of course, it is best to involve testers in the requirements review since they have extensive business knowledge which they gained from participating in requirements discussions, and then supplement this discussion with their own expertise in the area of testing and testability. A very effective way to examine the requirements is to write test cases based on requirements. When writing test cases we often discover that the requirements are not as clear as we previously thought. 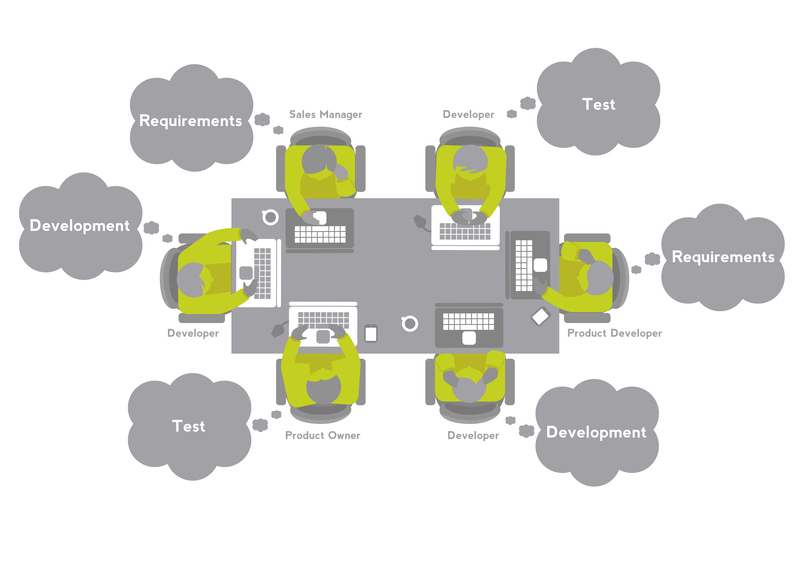 The best approach to take is to write test cases and requirements iteratively. Write requirements until they’re about 80% done, then write test cases in the same way. Update the requirements and finally update the test cases. Of course, it is important that there is room in the schedule to work out good requirements and test cases. Requirements and their accompanying test cases will serve as the basis for the developers and the test cases may even complement the requirements with further details. 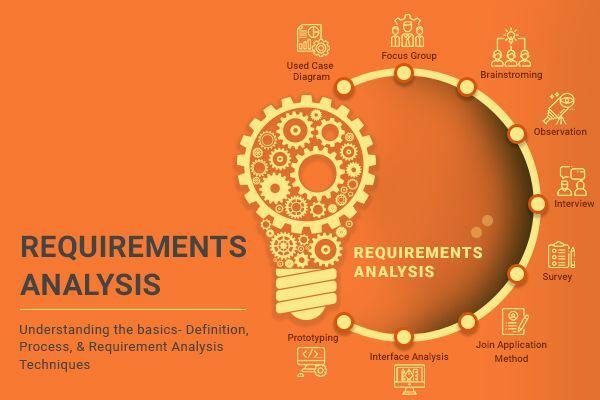 Traditionally, requirements have been seen as the sole documentation developers require, but by giving developers both test cases and requirements, they get a more complete picture of what is to be developed. Of course we use ReQtest to handle both our requirements and test cases. Our needs are very similar to the needs of many persons and organizations, including our own users. Requirements and test documentation are often spread in many places, for example in e-mails, as documentation after a workshop, on a file server, and sometimes in the form of discussions in the corridor. If you lack a tool to consolidate them all and make them centrally available, affairs will get messy and it will become increasingly difficult for the documentation to reach everyone who needs it in their work. Using ReQtest it becomes easier to achieve a uniform structure, no matter who creates the document. Requirements and test cases are designed the same way regardless of which project they’re in, making it easier to work on projects. 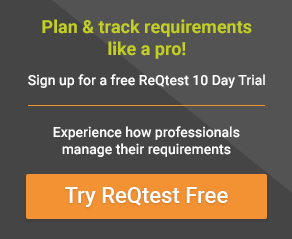 ReQtest makes it easier to get an overview of the testing and requirements documentation, and you can always access the documentation regardless of where you are. Just use your favorite browser. ReQtest also make it easy to access each other’s documents. For example, developers will need to be able to see the test cases and testers will need to see the requirements. Both these options are built into ReQtest from the get go. Furthermore, as a decision maker, it’s easy to make decisions as ReQtest provides you with current information about the progress achieved in both testing and requirements. 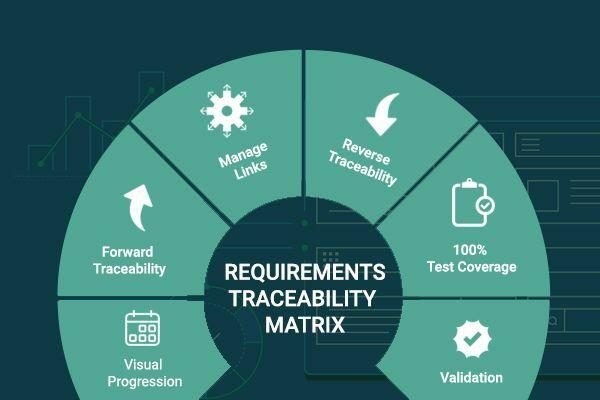 ReQtest gives you powerful traceability where you can both see the links between requirements, test cases and bug reports and see how the requirements and test cases have changed over time. Add to that, in ReQtest there are built-in functions to review both requirements and test cases. So, you explored the four scrum techniques that will help you work efficiently. In brief, it truly is best to establish law and order with a good requirements management and bug tracking tool like ReQtest. 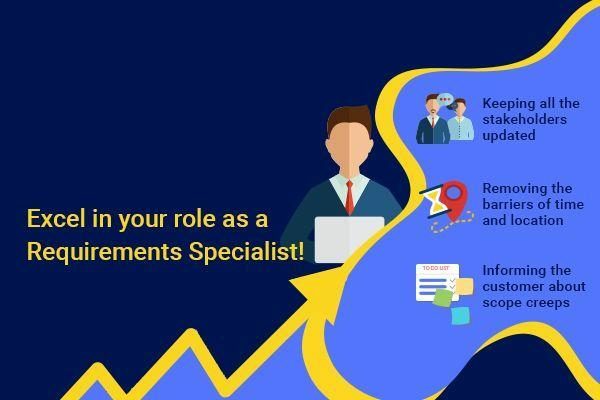 There quite simply is no better way to make sure that everyone is above board and completely (and automatically) up to speed when it comes to requirements and documentation.